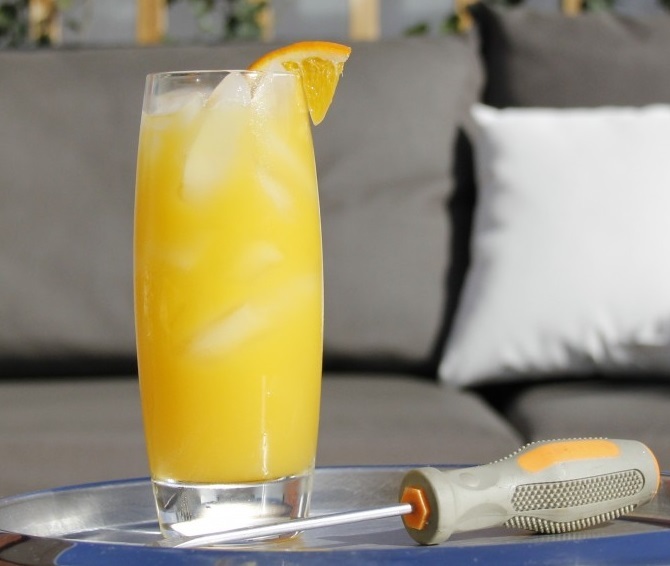 Screwdriver: One of the most popular drinks in the world, the Screwdriver can serve as a base for many other popular drinks. The origins of the cocktail are clandestine. In the 1950s, workers on oil rigs in the Persian Gulf would work incredibly long and dangerous hours. So, of course they relieved the tedium with alcohol. Apparently, a few of them, some sources say a mix of Turks, Serbs, Albanians, American engineers, and maybe a Greek or two, poured orange juice and vodka into cans while working on the rigs. The name came from the workers using a screwdriver to stir their secret alcoholic elixir. Outside the US, it is often referred to as “vodka and orange”, but no matter where you order it, the two base ingredients are the same. Stir it with a spoon. Add the orange slice on the glass edge as garnish. Screwdriver is ready to be served. If you have any queries regarding the Screwdriver recipe, please leave a comment.